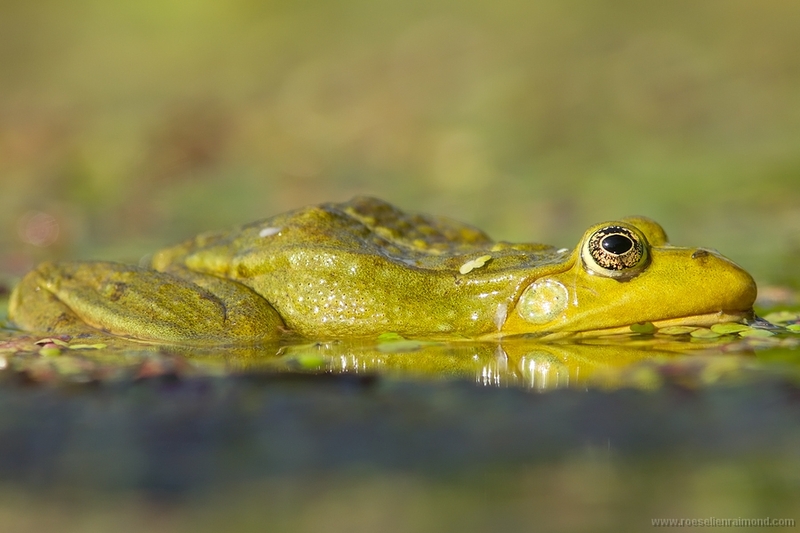 Frogs are programmed quite simplistically: as soon as there’s any potential danger: dive! The enthusiastic quacking abruptly dies and the ditch looks as if there have never been any frogs and never will be again. Good show, but….you don’t fool me twice…! The Big Frog Script doesn’t tell how to act when the Potential Danger settles down just a few feet away. 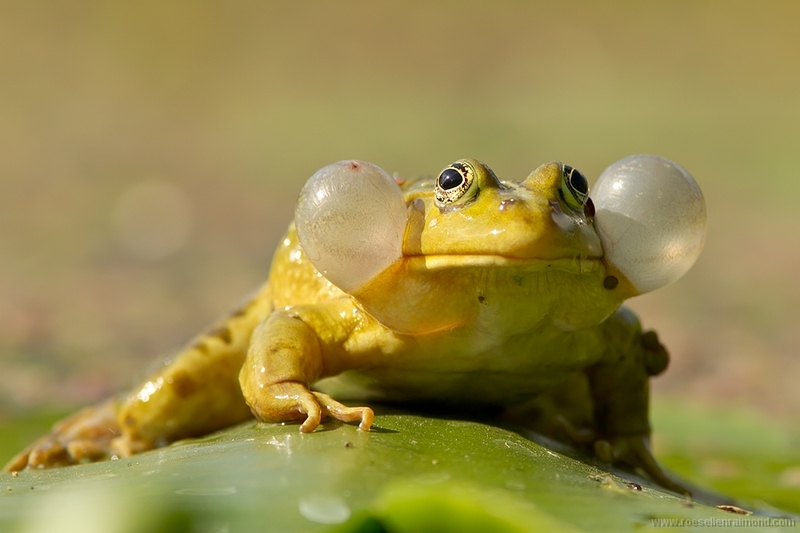 So after ten minutes of playing hide and seek, the frogs fall back on rule number one: quacking and bubbling like there’s now tomorrow. 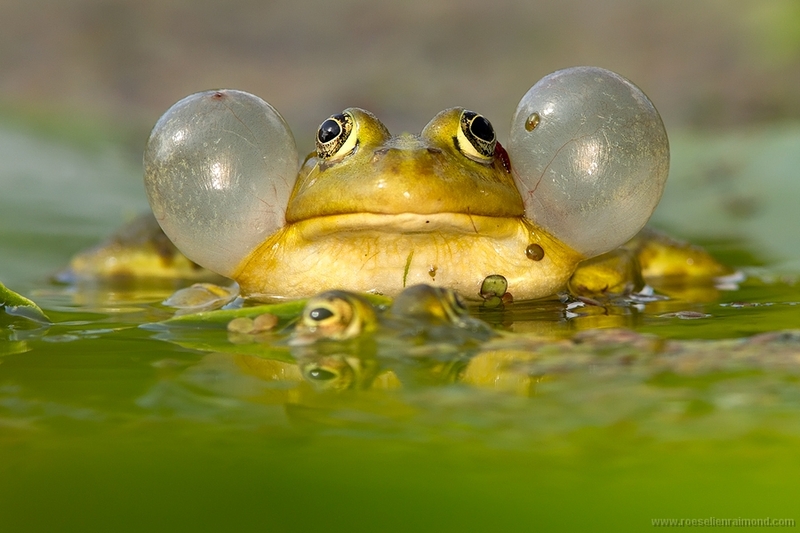 Because: seducing frog ladies is all that matters and these green girls seem to adore males with cheeks like gum balls. Personally I think it’s more laughable than attractive, but it surely is a nice sight: these green males death seriously pumping up their cheeks. With an impressive result: the men look like you can let them up on a rope any moment. Unfortunately there’s one tiny problem: ‘my’ ditch has no females to reward al these efforts. 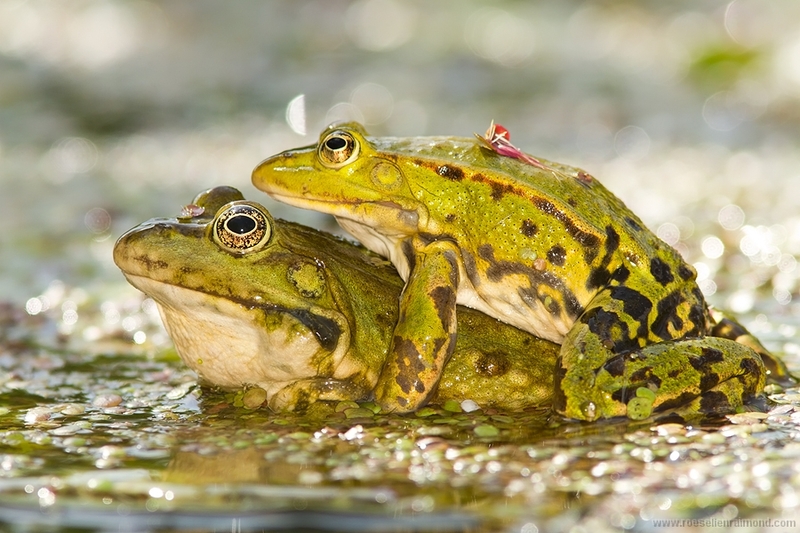 Frogs don’t have a manual for dealing with a severe female shortage either, so being a frog male, you just grab what you can grab. Of course this gesture isn’t appreciated by the underlying male. If this fails the upper frog is rudely knocked aside. 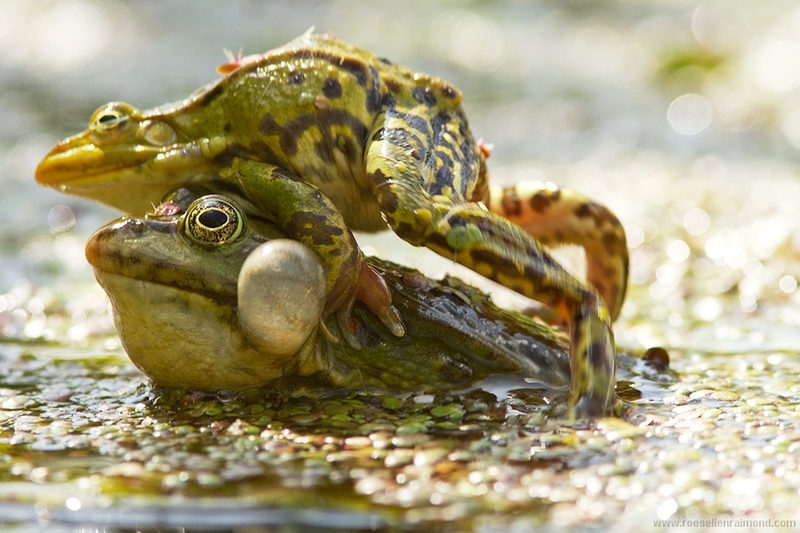 And then the whole ritual can start over again…blowing….jumping and getting rid of the frog on you back. and of course,i really enjoyed your photos!